Let more light into an orangery or conservatory with the Ultrasky Lantern, which uses less bars and more glass to deliver a bright and spacious-feeling room. If your project involves a flat roof, make the Ultrasky Lantern your system of choice. The Ultrasky Lantern is a flexible roof system that can respond to the demands of almost any home improvement project. Its ridge outperforms equivalent products currently available to deliver a system that is minimalist but strong. Different configurations are available with the Ultrasky Lantern. This roof system – which is built by Ultraframe – is rectangular, can be supplied in sizes of 1000mm x 1500mm through to 4000mm x 5850, and can cope with wide spans. A wide variety of design options complements the incredible strength and sightlines of the Ultrasky Lantern. Building a roof that fits in with the architectural style of property – and its chosen schemes – is easy with this versatile roof system. A choice of bespoke colours will be accessible to ensure the doors and windows match. uPVC and aluminium options are available too; homeowners can choose different shades inside and outside to ensure consistency of design throughout. Uncover the benefits of choosing from our Ultraframe range. Explore the many market-leading features of our products and ask us about the upgrade options available, which will further enhance your roof’s appearance. For help designing your orangery or extension, call us today on 01329 233500 or send us a message. You can also browse our range of doors and windows to find the right products to complement your Ultrasky Lantern. Novaseal can act as a single point of contact for your project and has 20 years experience of helping its customers find the right roof solutions for their orangeries and conservatories. The Ultrasky Lantern comprises industry-leading technology designed to make it watertight – even when exposed to wind speeds of 130mph. This is thanks to its Stormshield Protection feature, which comprises radius end covers, weathering shields at the ridge and compression trims. 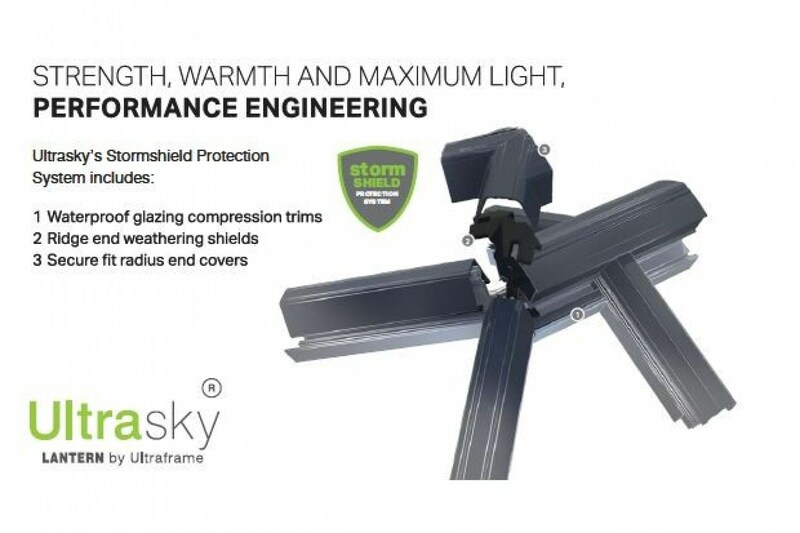 The Stormshield Protection systems protect the Ultrasky Lantern from damage caused by weather, while also stopping wind and rain from penetrating. The watertight design of this roof system helps deliver a more comfortable environment. The Ultrasky Lantern is a thermally efficient roof system designed to make any orangery or extension warmer. Packed with innovative features – like thermal breaks and an isolating top cap clip – it makes the space below it comfortable and more efficient to heat. The watertight design of the Ultrasky Lantern will also reduce the risk of condensation. This means that problems like damp or mould won’t occur. Instead, homeowners will be able to enjoy the benefits of an orangery or extension roof that’s a long-term investment. An almost limitless range of designs is possible with the Ultrasky Lantern. Learn more about how to customise this truly market-leading product, and the many appealing features included with it as standard. 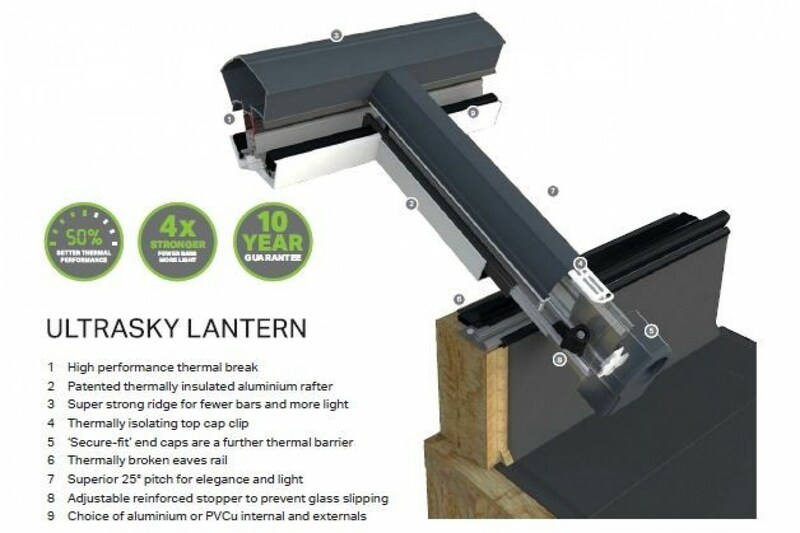 The glass used as part of the Ultrasky Lantern performs two important functions. 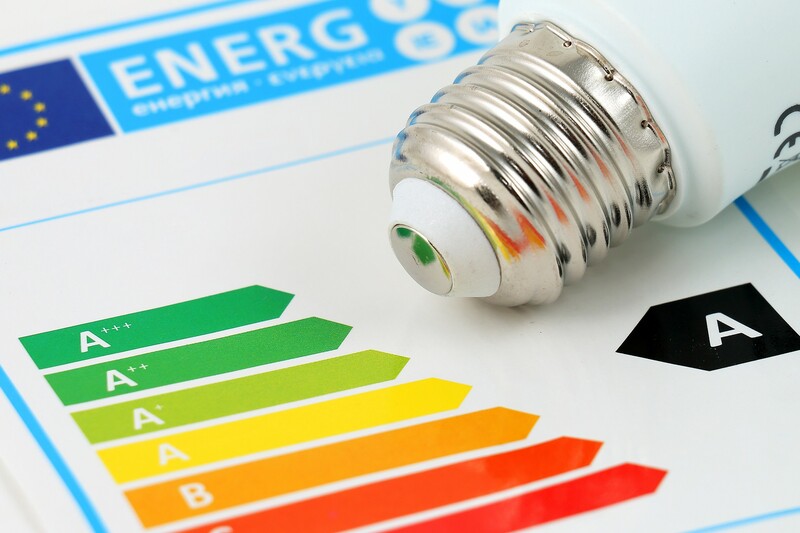 It deflects solar rays during warmer weather to stop the conservatory or extension overheating; at all other times, the glazing in the roof retains heat to maintain comfort. Because the Ultrasky Lantern can cope with wider-spans, a new world of design possibilities is created. Bi-fold or sliding patio doors could be factored into the design specification to create improved access and open up the orangery or extension to the outside. Personalising a conservatory or extension to meet the aesthetic demands of a project is easy with the Ultrasky Lantern. Its minimalistic style can be complemented by accessing a portfolio of design options that will make this roof stand out from the crowd. For technical or design help, please get in touch with Novaseal’s friendly team. You can call us on 01329 233500 or send us a message. For online orangery or extension roof prices, visit our design tool – as many times as you need to and for doors and windows too.